“Everybody knows” three things about Coade Stone, the artificial stone that decorated so many buildings and monuments in the Georgian and early Victorian period and which survives today in remarkably good condition. Firstly it was invented by Eleanor Coade who ran the business, secondly that the secret recipe for it is lost and thirdly that the works are under the site of the Festival Hall on the south bank of the Thames, just north of Westminster Bridge. Actually, none of these facts are entirely true. 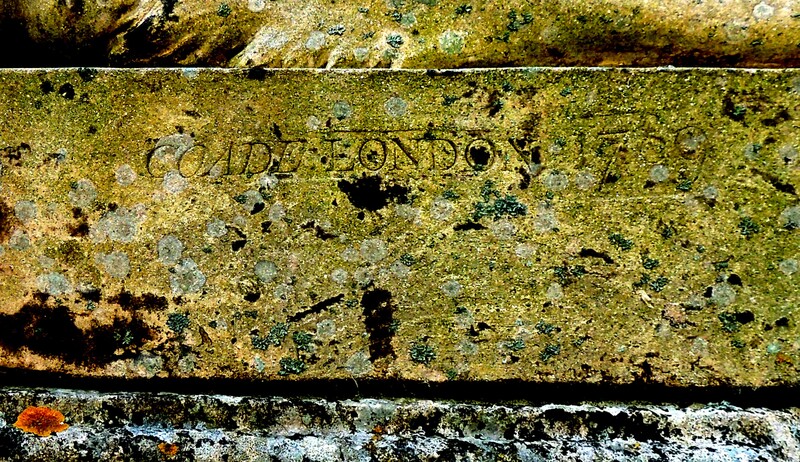 The factory stamp dated 1789 on one of the sphinxes at Milton Hall. There were two Eleanors – mother and daughter – and both seem to have been extraordinary and independent businesswomen, Eleanor senior was born in 1708 in Dorset and married George Coade who died in 1769. A year after George’s death Daniel Pincot opened an ‘Artificial Stone Manufactory’ by the King’s Arms Stairs, Narrow Wall, Lambeth. He made no claim to have invented the ‘stone’ and he did not patent it. It may have been the same product, or very similar, to the artificial stone and marble that Thomas Ripley took out patents for in 1722. Ripley also operated in Lambeth but went out of business shortly after 1730. It is unclear whether Pincot opened the factory and then sold it very soon afterwards to Eleanor snr., or whether he was acting as her agent all along, but Pincot vanishes from the scene and Eleanor took her nephew, John Sealy, as her partner. 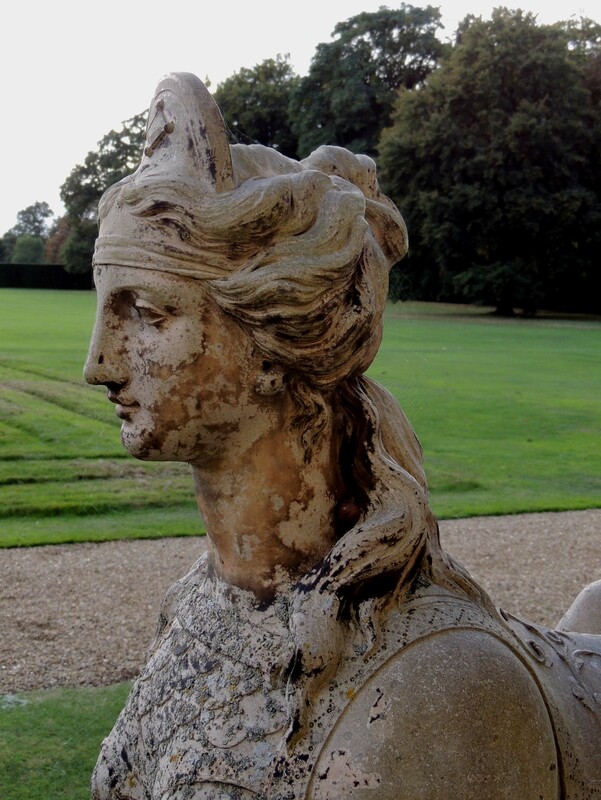 Eleanor never refered to the product as Coade stone but as ‘Lithodipyra’, which means ‘twice-fired stone’ – a clue to how it was made, as a ceramic. Eleanor snr. died in 1796, aged 88 and was buried in Bunhill Fields in an unmarked grave. Her daughter Eleanor jnr. (b.1732) took over the business, still in partnership with her cousin John Sealy. The manufactory is shown on Horwood’s map of London north of Westminster Bridge close to King’s Arms Stairs. The small landing stage and steps led up from the foreshore to College Street and thence into Narrow Wall, a winding street which formed a demarcation between fields and scattered cottages and the industrial zone of timber yards, breweries and coal yards that fringed the river. The entire area has disappeared under the site of the Festival of Britain exhibition and the factory was actually under what is now Jubilee Gardens to the south of the Festival Hall. Excavations when the site was being prepared for the Festival revealed a granite grindstone for preparing the ingredients and various moulds. Once the items were cast they were fired in a muffle furnace. 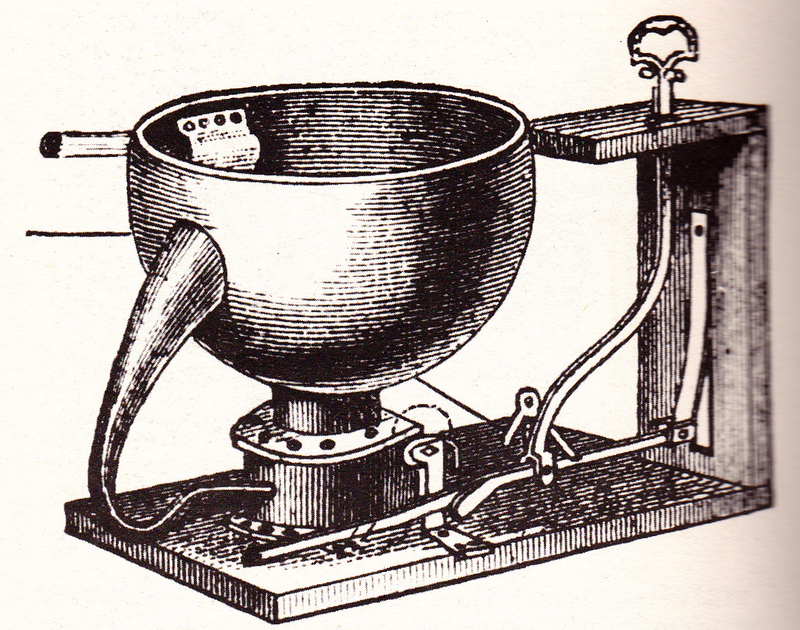 In 1800 Eleanor jnr. opened an exhibition gallery where Narrow Wall meets Westminster Bridge Road and Horwood’s map shows ‘Coade Row’ at that point. A catalogue of the wares of ‘Coade and Sealy’ from the previous year lists an entire range of architectural ornaments and monuments, including items designed by artists of the calibre of James Wyatt and Benjamin West. Eleanor jnr. 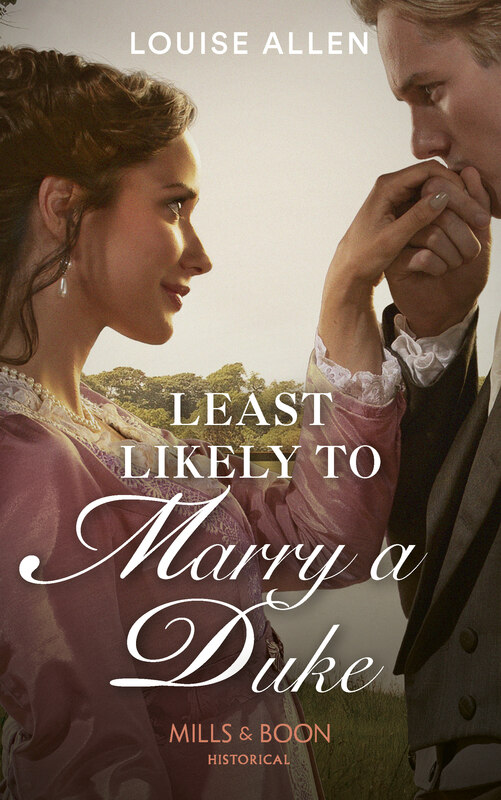 never married, although all references to her are to ‘Mrs’ Eleanor Coade. Her cousin John Sealy died unmarried in 1813 (buried, with a Coade stone memorial, in St Mary’s Lambeth), leaving the substantial sum of £7,500 to his unmarried sister. Eleanor, who was then in her 80s, took on a cousin by marriage, William Croggan, and it was he who carried on the business after her death in 1821, moving the business to Belvedere Road close by. William Croggan passed the business to his son, also William, who finally closed it down in 1837. The factory was taken over by a manufacturer of terracotta and scaglioni wares but production of Coade stone ceased. 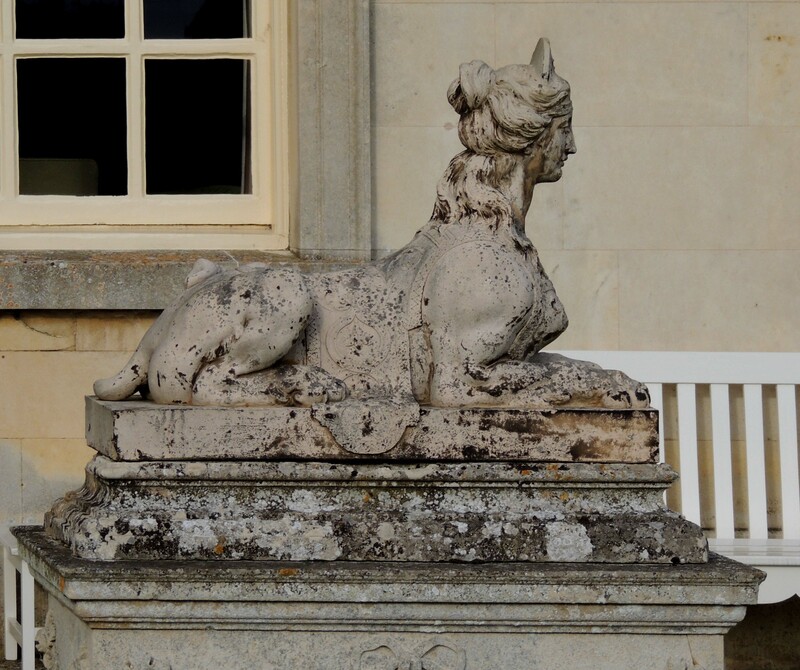 Over six hundred surviving examples of Coade stone are known and they can be found on buildings, as garden ornaments and in churches throughout the country. The Britannia Monument, Great Yarmouth, Norfolk; Captain Bligh’s tomb and the façade of the Royal Society of Arts building in the Adelphi are made from it as is the monumental lion (13 foot long), once on top of the Red Lion Brewery and now on Westminster Bridge. Coade stone was also used in Buckingham Palace, the Brighton Pavilion, Castle Howard and by landscape gardeners such as Capability Brown. The ‘secret’ formula is now known, thanks to modern analytical methods. If you want to have a try all you need are a mixture of 10% grog (finely crushed kiln waste); 5-10% crushed flint; 5-10% fine quartz or sand; 10% crushed glass; and 60% ball clay (from Eleanor’s native Dorset). Grind, mix, mould and fire at over 1,000 degrees Centigrade for four days and you will have your very own Coade stone ornament. Possibly best not to try this at home! If you’ve got a favourite Coade stone memorial or building, I’d love to hear about it.